A processing guide designed to provide teachers with a self-moderated professional learning experience through deepening their understanding of the instructional topic. A video vignette featuring classroom scenes as well as interviews with practicing STARTALK teachers and their students reflecting on the impact of the selected instructional topic. 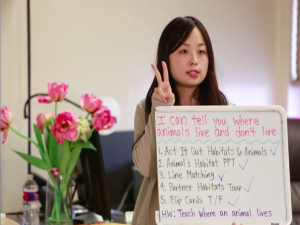 A teacher presentation developed by a practicing veteran STARTALK teachers providing an explanation of the instructional topic as well as practical tips from the teacher’s classroom. An overview essay written by world language experts Helena Curtain, Greg Duncan and Alyssa Villarreal, providing an introduction to the topic as well the connection to research. An at-a-glance infographic providing visual representation as an overview to the instructional topics highlighting important features of the concept, sample strategies, helpful tips and more. A feedback form designed for teachers to use in order to determine the degree to which their work exemplifies the characteristics identified in the instructional topic. Effective language learning experiences are guided by learning targets that indicate what students will be able to do and what they need to know by the end of a lesson. The Planning domain of the Teacher Effectiveness for Language Learning Framework identifies the characteristics and behaviors exhibited by a model world language teacher and supports the need for developing standards-based learning targets. Effective language learning experiences are facilitated by the use of assessment strategies that allow students to demonstrate what they can do with what they know and to receive helpful feedback on their attainment of performance objectives. The Performance & Feedback domain of the Teacher Effectiveness for Language Learning Framework identifies the characteristics and behaviors exhibited by a model world language teacher and supports the need for conducting performance assessments. Effective language learning experiences require a climate focused on creating the context within which acquisition can occur and a learning environment infused with the target language. The Planning and Learning Experience domains of the Teacher Effectiveness for Language Learning Framework identifies the characteristics and behaviors exhibited by a model world language teacher and supports the need for comprehensible input. Effective language learning experiences are not complete until students achieve meaningful output. Providing learners the support they need to excel in applying their language learning is as critical as the input the teacher provides. 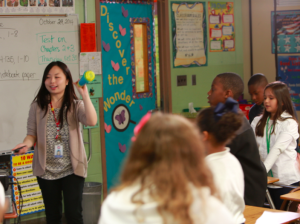 The Teacher Effectiveness for Language Learning Framework identifies the characteristics and behaviors exhibited by a model world language teacher and supports the need to empower students to use the target language. 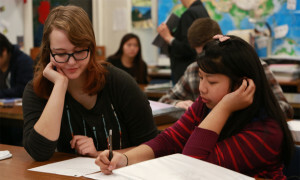 Effective language learning experiences must capture students’ interest and attention. The Environment and Planning domains of The Teacher Effectiveness for Language Learning Framework identifies the characteristics and behaviors exhibited by a model world language teacher and support the critical need to engage and motivate learners. Funding for the development of these resources was provided by the United States government through STARTALK, a program of the National Foreign Language Center at the University of Maryland.